Today is Rare Disease Day ® and my rare illnesses are Functional Neurological Disorder and Hemiplegic Migraines. The aim of Rare Disease Day ® is to raise awareness of rare illnesses and the impact it has on individual's lives and the need for research to help those living with rare conditions and to eventually one day find a cure. 1 in 20 people will live with a rare disease at some point in their live (Rare Disease Day ®) and despite that statistic there is no cure for most rare illnesses and many people also go undiagnosed or it will take them years of difficulty as well as delays to get the right diagnosis often leaving individual's feeling isolated and confused. The first Rare Disease Day ® took place on the 29th February 2007 a 'rare' date and since then Rare Disease Day ® has taken place on the last day of February - a month which has a 'rare' amount of days. So, what is a 'rare' illness? In Europe the definition of a rare disease is that it affects less and 1 in 2,000 people. There are 6,00 existing rare illnesses. 80% of rare illnesses have an identified genetic origin. Other rarer illness may come as a result of infection, allergies or be environmental. There are also rare cancers, disorders of the immune system and birth defects. 25% of rare diseases have a molecular basis. 50-75% of rare illnesses affect children. Some well known rare illnesses include Cystic Fibrosis and Muscular Dystrophy. 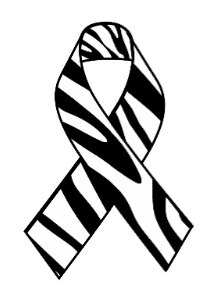 The term 'medical zebra' is given to those with a rare illness as doctor's are taught "when you hear hoofbeats, think horses not zebra's"; so to look for the most common cause first behind a person's symptoms. But just like zebra's, rare illnesses do exist, and just like a zebra's stripes we are each unique and no two people, even with the same illness will be the same. When you see the words eating disorder you straight away imagine a vulnerable teenage girl struggling to find her way in the world and the stereotype of eating disorder that many people hold comes into your mind. I was once that girl but that was nearly 40 years ago and I am now a consultant teacher and a mother of three grown up children. My childhood was not a happy one and I was abused physically and emotionally on a daily basis. Chaos ruled my world and I was constantly on high alert, dodging abuse aimed directly at me as well as witnessing domestic violence and alcohol abuse. My earliest memory was me sitting in a highchair being force fed egg by my Mum. I remember her screaming ‘SWALLOW IT’ and me gagging and being unable to do what she said. The next thing I knew she had hit me so hard that my highchair had toppled backwards through a glass door and I lay there strapped to my chair covered in shards of glass but luckily unhurt. As I lay there my Dad rushed into the room and began to beat my Mum; leaving me lying on the floor in shock. So I guess because of my disordered childhood experiences I that is when my eating disorder began. At one point I was threatened with being taken into hospital. I felt lost and alone and anorexia had taken hold of me. With the support of my extended family and my tutor at school I slowly began to recover but no one ever dealt with the underlying issues that had made me get to that point and thus began my lifelong unhealthy relationship between my emotions and food. Fast forward 40 years and I’m still struggling. Last year various adverse life events coupled with my youngest child leaving home left me severely depressed and suicidal. I rang my mental health team for support and we devised a plan with my CPN [Community Psychiatric Nurse] where I would receive some additional support to help me cope. Later that week after not hearing from my CPN at all despite leaving him phone messages I finally got to speak to him and he said that he had changed his mind and wouldn’t be able to offer me the support I needed after all. In an instant I was back to that hurt little child. My whole world seemed to be falling in around me and I felt that I had no control and was all alone again. In a moment it was like a switch turned on and once again food was the only thing I could control in my life. I spent Christmas and New Year on a mental health ward being treated for a depressive episode. In that time my eating disorder had taken over once again and I learnt tricks on how to avoid meal times and during my admission I felt that no one cared or noticed. Since being back home I've spent most day in bed still consumed by my eating disorder but I feel the because I don't stereotypically "look anorexic" I'm struggling to get any support. I desperately want to get my life back on track and get back to work. I know that having a routine and being around people helps me and today I finally found the courage to speak with my GP about my eating disorder. It was difficult for me to admit what I was doing but I really wanted some help and support. My GP rang me and refused to see me face to face. I described to him how I have been feeling and my behaviour and he said that I hadn’t got an eating disorder but my not eating was a symptom of my depression. He lectured me about the importance of having three meals a day and the effect of low sugar on my mood. He then said that he would not help me and would not be able to refer me for any help but it was up to me to sort myself out. I put the phone down and cried. He had not heard me. If I had rang to say I was in pain he would have told me to take a tablet three times a day to stop the pain but would have tried to find the underlying cause of what was hurting me. I feel that my eating disorder should have been treated in exactly the same way. I am an intelligent woman and I am not stupid. However he made me feel small and stupid. I know I need to nourish my body to be healthy and I know that I need to eat regularly but at the moment I am struggling. A few days ago I walked around the supermarket for the first time this year and I hoped that something would jump out at me that I would fancy to eat but nothing came to me. I am not your stereotypical person with an eating disorder - but the what is a stereotypical person with an eating disorder anyway? I don’t have a disordered reflection of my body in the mirror and I am happy with the way I look and I don't obsess over numbers. I am simply emotionally lost and hurting and punishing my body in the only way I know so as to deal with all the thoughts and emotions going round and round in my head. I have never been taught any other way to cope and inside I am still that tiny child lying on the floor watching the chaos around me. My initial thought today was ‘I will show you’ [to the professionals that I am struggling] but I know that the only person that will suffer the consequences of these actions is me. I want to get back to work and I want to get healthy and happy again. I realise that I need to not give up and to keep shouting until I get the support I need and deserve. I will go and see another doctor at the practice tomorrow and if I need to see all the doctors available before I am heard then so be it. I am worth better than this I deserve to be listed to and be supported to thrive. For information about different types of eating disorders click here. For help and support form Beat, the UK's leading eating disorder charity click here - this can be online or over the phone and is open to those struggling with eating disorders of those affected such as carers, family and friends as well as professionals. They also have a directory of local support services. For Beat's recovery information click here. Doesn’t your mother feed you skinny? Why open the door when you can just slip under it? Skinny Sophie, it was who I was. All those things were said to me before I was 12. It didn’t bother me. I ate healthily and I was fine. I did a lot of gymnastics and cheerleading too and probably had a fast metabolism, or whatever it was people said. As I hit puberty I stopped growing upwards, I was already about 5’8” people stopped commenting on how skinny I was. My mum kept telling me I was eating too much chocolate and sweets. One day I was feeling unwell and vomited. And from there that's where my eating disorder began. I was chatting to some friends about something totally unrelated a few weeks later. I can’t remember what it was about but a friend said ‘I just don’t understand why people would put themselves through that?’ That stuck with me, why was I putting myself through this. I then started skipping lunch at school and instead I'd spend the school break and lunchtimes in the library doing homework. It wasn’t long until I started skipping breakfast too. Mornings were so manic before school that my mum never noticed. But I wasn’t fine. I wasn’t fine at all. I'd also started self harming when I had eaten as ‘punishment.’ I didn’t think anyone had noticed because I was still eating some of my evening meal at home and the odd pice of fruit now and then. I hadn’t lost much weight, just hadn’t gained any around puberty when all my friends had. But people had noticed. My dad worked away but when he was home he’d often ask me on my way home from cheerleading training “is everything ok Soph?” I’d tell him I was fine just tired. A few of my teachers asked if everything was okay too. I told them I was fine just had a lot on what with my GCSE's in a few months. One day my head of year pulled me out of a chemistry lesson for a chat. She was a lovely older woman nearing retirement, she brought me into her office “Sophie some of your friends are concerned about you.” I told her I was lucky and naturally skinny. She sent me to the school nurse who sent me (and both my parents) to the local Eating Disorder Services. I spun the ED services an elaborate story about a friends birthday cake which didn’t agree with me and make me sick and my friend happened to be in the loos at the same time. They was concerned that my weight was less than what the school nurse said so I told them that the nurse had weighed me with my school blazer on with the pockets full. I had everyone fooled. But I started to eat. My GCSE's went well. I was eating and thought I was better. When I started year 12 the ED thoughts came back. Stronger this time and the self harm was still ongoing. Worse even, I was hurting myself in the school break times between lessons. One day when I was going over a bad test result with my geography teacher at breaktime, she offered me a sweetie and I politely refused. She put her pen down and looked at me. “Sophie, are you eating?” I looked away “Soph?” The tears started and I tried my best to stem them and wipe them away but it didn’t work “Oh Sophie” she said; the bell went and she sent me to my bIology lesson saying she had to teach and would talk to me at lunchtime. She got me as I finished my pre-lunch lesson. And brought me down to her office, she was the head of year 13. She asked me what had been going on and I told her most of what had been going on in a very mixed up and muddled way. She asked me if my cuts needed medical attention then asked if she could take whatever it was I was using to hurt myself off me. I wouldn’t let her and she wasn’t about to search my massive rucksack. She sent me to the school nurse who sent me back to the Eating Disorder Services. They gave me CBT for a few months but I still wasn’t eating. My clinician told me I’d have to go to day treatment and take some time off school. My parents weren’t happy with this idea at all and told me I wasn’t allowed they ‘didn’t believe in Eating Disorders’ but my clinician was telling me it was the only way I was going to get better. I was a mess, going from school to the Eating Disorder Clinic twice a week. My clinician rang me to tell me there would be a space for me in day treatment the following Monday. I told my dad when we were in the car. When we got home he had barely got in the door when he started “No f***ing way Sophie, school is the most important thing.” He was shouting blocking the door. Telling my mum to come downstairs. He moved and I bolted out of the front door and just ran and ran and kept running. I found myself in a housing estate not far from ours with my phone in my hand and wearing just leggings, a T-shirt and light hoodie despite the fact it was about 9.30 pm in November and raining. I found myself at a friends. I rang the bell and her dad Alan answered. “Is Ellie In?” I asked breathlessly. He knew something was very wrong as why else would a 17 year old girl be knocking on the door in the rain on a Thursday night with tears streaming down her face. He ushered me in and gave me a towel to dry off. Ellie can downstairs with a pair of spare pyjamas. I was watching some shortly TV with Ellie - America’s Next Top Model or something. The doorbell rang. He told Ellie to close the door to the living room. It was my dad. He’d been out looking for me. I heard Alan and my dad yelling at each other. It was terrifying to hear two grown men yell like that. But I stayed at Ellie’s and my dad left. Her mum Sue came home about midnight. She was a teacher at a different school with mental health training we talked and she rang my parents and dropped me home about 3am. My dad was in bed but my mum was up. She gave me a hug, which she hadn’t done for at least five years. “I know I don’t say it, but I do love you Soph, you know that don’t you”; I nodded but what she said was true. She never told me she loved me. My dad and I often hugged and said we loved each other but mum never did. I rang my mum telling her they’d kicked me out. She picked me up confused with tears running down my face. I went into school and spoke to my teacher who advised me to take a week of school. So I did and did girlie things with my mum then went back. I was so behind in all my subjects I was in constant crisis. I was still really struggling with my eating. There were so many days that teachers would call my mum to pick me up because I was in such a state. It was obvious to everyone that I was a mess, but I didn’t care. I would come home from school everyday in tears and tell mum I was not going back, but I would the next day. Since I was over 16 I didn’t have to be in school. My mum rang the school and told them I wouldn’t be returning for a while. My dad was very angry but my mum told him “if you can be here every night at 4 when she gets home in tears, and pick her up when school ring me that she needs to come home then you can have an opinion". Mum took me to a private councillor, not an eating disorders one just a general one and within a month I was eating 3 normal meals a day. Erasing the stress of school from my life made me into a different girl. I missed my friends and got bored but I was happy and getting healthier. I genuinely am not sure I’d be alive if I hadn’t taken time off school. I returned to school the following September happier. It was very weird being in my brothers year but I quickly made new friends and would eat in the canteen with them. Now I am a healthy weight and mentally fine. I pity the scared little girl I was back then and I’m a totally different person now. I know now that I will never go on a diet or skip meals because I don’t want to spiral into the dark place I was in ever again. If you are worried about your eating please tell someone because believe me eating disorders are true tourture and I wouldn’t wish one on my worst enemy. If you are struggling know that I came out the other side and you can too. For help and support with Eating Disorders, whether you have and ED yourself, or you are affected by and ED because you are a carer, family member, friend or are a professional who works with people with ED visit Beat Eating Disorders. For Beat's support services whether it be via telephone, online chat or to find your nearest support service click here. What is an eating disorder!? Is it a walking skeleton? Or someone who purges? Is it someone who excessively exercises? I state that it’s much more complex that the typical picture that we see! The mental torture of what goes on inside the mind of an individual with an eating disorder is so complex, a simple sentence can’t describe it! If you really truly knew the pure excruciation of the pain that one puts their body and mind through just so they can numb the pain of the world or have some sort of control in a planet that seems so out of control. People can glamorise this illness quite well, which is not the truth when your actually suffering or are close to someone suffering! An eating disorder is so complex! It’s someone lying in a hospital bed being restrained to be tube fed. Its where your hair falls out, in clumps, and fur like hair grows on other parts of your body to keep you warm. It’s were you're sectioned in a psychiatric ward whilst begging for them to let you go! It’s where you’re so cold to the bone, even when the sun is out, you can’t heat up. Where your teeth are eroding away, that is the ones that already haven’t fallen out due to excessive purging! Wait there’s more! There’s the humiliated face when someone has caught you scrapping through the bin! Or when you have bought £40 worth of binge food that you wouldn’t dare anyone see because of the shame you feel! Or the constant hospital visits because your electrolytes have plummeted, yet again, so you have to get bags of IV fluids just to normalise them! Or where you are consuming too many laxatives or diet pills! Or when you have damaged your body so much you end up with osteoporosis or heart or organ damage! Who could ever glamorise this! A true torturous mental illness, that not always is visible to the eye! It’s where an individual feels so much hate and disgust towards oneself that they punish themselves! It’s where you can look in the mirror and genuinely see something totally different than what everyone else sees! It’s living hell! Complete and utter torture! It doesn’t make sense and is completely different for each individual suffering! I say suffering because it truly is suffering! It’s not something you choose and ironically not something you can control! It’s out of the sufferers control! It’s a minute by minute, hour by hour, day by day-pain! It’s not something you can explain because it doesn’t make sense! If it was just as easy as to “just eat”! Eating disorders don’t discriminate: it affects boys and girls, men and women, of any age, race or sexuality! It can affect anyone, at any time and can creep up when you least expect it! It’s a messy illness that steals your independence and life! It’s a killer! And it can kill anyone at any time, at any weight! Weight is just one factor of an ever continuous list of struggles. “You look really well/healthy” is a statement that literally translates to a sufferer as a heart wrenching “you look fat” don’t ask me why, because it doesn’t make sense: why wouldn’t we want to look well! But we don’t! Yet we do but we don’t! See! It doesn’t make sense! We may look well to the eye but be suffering so excruciatingly behind closed doors! It’s such a secretive illness! You don’t want people to know the secrets that lie behind closed doors! It’s an illness that can destroy a family! It’s a family illness! No matter how strong a family are, it can drag everyone down with it! The pain watching someone you absolutely adore, hurt themselves and there’s nothing you can do but watch! That can be more painful than the sufferer! To care for someone struggling can create so much tension, hurt and anger! Really all a loved one can do is, keep loving them and listening to them! Trying to understand! The more a family member or friend tries to help, the more the sufferer can run away! It’s horrible! The person suffering had to be ready to make the change no one can do it for them! Eating disorders have the highest mortality rate of any mental illness out there! 1 in 5 suffers of Anorexia will die, either by suicide, malnutrition or organ failure - that's the reality of it! It’s scary, once your in the world of knowing people with eating disorders how many people you start to lose! It’s an illness that needs to be taken seriously! And it’s not as simple as just eating! The mind of an eating disorder is so complex, even sufferers can’t explain it! It’s got so many complexities and contradictions, I don’t think we’ll ever be able to explain it in a single sentence! It’s a debilitating mental illness that can be hidden for years! I hope people can learn to be more understanding about eating disorders and how they work! Because the more people understand and are ready to listen, the more people suffering will talk! This is eating disorders awareness week and this is one persons way of helping make people not judge someone suffering. Please try to understand that an eating disorder is an illness, not a diet gone wrong! This year's theme for Eating Disorders Awareness Week (EDAW) is 'Breaking Down the Barriers'. Eating Disorders of any kind any affect anyone; they don't discriminate. The myth is that eating disorders are a middle class white teenage girls illness. Wrong. Over the yeas of being treated for my own eating disorder I have met people form all sorts of walks of life - boys, girls, young people living in foster care, middle class people, working class people, employed, unemployed, pre-teen, middle aged, people from all sort of religions or not religion at all; the list goes on. I've also faced barriers to treatment and I've known others struggle to get treatment. This year I also wanted to post in memory of all those who have lost their fight to eating disorders, because the things is, eatings disorders have the highest mortality rate of any mental illness; far more than depression like most people think. When you enter the world that is mental illness, (and I've been in more of my life than I haven't) you get to know people through a shared understanding whether it be from hospital, volunteer work or just through the circle of people that are also living with an eating disorder/mental illness. Last year I didn't;t feel able to be open about my story, but I've always believed that by sharing the true unsugarcoated reality that is an eating disorder/mental illness that true understanding and barriers can be broken. I've always struggled with my mental health in some way or another. I've alway been quite sensitive and I've struggled to make sense of the world around me - as an adult now I'm going through the process of being assessed for Autism, but whether I have Autism of not it makes no difference; it's just who I am. Because I was sensitive and found he world hard to understand and also because of my Disorganised Attachment Disorder I found it easier to live in my own world but it made me an easy target to be teased in primary school and because I would react it made it all the more entertaining. I was also born with a spinal curvature so I had adaptations to my desk and chair; something that was supposed to help me just made me all the more different. It got better when I moved school in year 6; it was a small school, each year group was just a single class and my teacher nudged me into a group of friends and it was the five us us - two sets of friends and then me - I was forever the odd one out. This primary school had a linked secondary school and was a circle of small Catholic schools: 2 primary and 1 secondary. Most of my primary school class moved onto the linked secondary school. Over the summer holidays everyone suddenly grew up; all except me. I was left behind, still a the small, odd-one-out girl. I hated secondary school. Instead of friends I had bullies and if it was one person or group of people it would be another person or group of people calling me names, laughing at me, stealing my things and emptying the contents of my bag along the corridor. Sometimes it got violent, I even got my arm broken when a chair got thrown at me. Because of my dyslexia I was moved from French and Spanish to the Key Skills group as I just couldn't grasp learning foreign languages. I was bright with an above average IQ so I knew how to read and write it was just difficult. As you can guess the key skills group was for the less bright children who'd rather play truant than be in school and it was more entertaining for them to wind me up than learn how to read and write. I started to play truant myself. The other thing I hated about secondary school was all the people. I dreaded the end of class bell. I'm still haunted by memories of dreading the end of class bell and trying to move from one class to another and getting trampled by a stampede of a school all going from one class to the next. I also avoided the canteen from day one as it was too small a room for the size of school, plus it meant I could avoid people and I had my own hiding place outside where I'd sit and read or I'd sit in the library. I was also fond of the music teacher and I used to spend my breaks in her classroom too. I'd probably pinpoint that my depression began when I moved to secondary school. Soon after my eating disorder began. When you have an eating disorder to become exceptionally deceptive. To the outside world I was bright, doing well academically, a model student, helpful, polite. But inside I was crumbling apart and falling into darkness. My true home life was also different to the one painted on the outside. I was dong well to hold my brokenness to pieces until one follow up (in the September I remember) with my paediatrician (who I saw regularly since I was young) and I fell apart in front of him and opened up him about my blackness and my deceptiveness. At 12 I was diagnosed with clinical depression and Anorexia Nervosa. Suddenly my world was turned upside down, I had to start seeing my paediatrician twice a week and weekly with a dietician and I was put on the waiting list to be seen by CAMHS (Child and Adolescent Mental Health Services). I had tried up open up to my music teacher about my self-harm but her response was unhelpful to say the least. I couldn't cope with what was being expected of me. It was all too much to fast and I spiralled faster and faster. I'd had thoughts of suicide. Looking back since I was a young child I'd hurt myself by hitting, but as my depression hit it became more serious. Then the October I was hospitalised after taking an overdose. I was seen by CAMHS immediately. I'll never forget Alice*; she was the first person to truly listen to me, about my home life, how I felt, the expectations put on my by my dietician and my paediatrician. I started twice weekly psychotherapy with Alice but still my Anorexia, depression and self-harming/overdosing spiralled and worsened. By December I was hospitalised. That was one of many hospitals that ensued. Some where general CAMHS units, some PICU's (Psychiatric Intensive Care Units) and others where specialist EDU's (Eating Disorder Units). Some units gave up on me and either discharged me only to be readmitted to another or just passed me onto another unit. I also spent time on paediatric medical wards, to physically unwell for psychiatric units. The main issue with the treatment for Anorexia was the main focus was on weight restoration which in my case 99% was forced upon me through tube feeding and then I was discharged home for therapy in outpatient CAMHS with Alice. The main problem though was that mentally/emotionally I was still where I was before my admission to hospital so I would quickly relapse with my Anorexia and/or I would seriously harm myself as I could cope with a 'weight restored' body and so I would end up back in hospital. Hospital got me away from home and school. It gave me routine and stability which I didn't have. I spent a lot of time in time-out, sometimes I would deliberately kick-off just to be sent to the time-out room to be alone. Even now I miss being ale to have a proper meltdown as it's more acceptable when you're in hospital as opposed to in the community; though I don't miss having to use the bathroom with three member of staff all within arms reach. As much as hospital saved my life medically it was my psychotherapy with Alice that saved me. She showed me true care. Wherever in the country I was she was the only person to attend every meeting. When I was having therapy in the community with me she would spend hours commenting through a snow storm so as to see me on that day. She was the only solid thing in my life - wherever I was physically or emotionally she would still be there on a Monday and Thursday at 10.30am in the pink room sat on the floor. There where only things that I learnt later about Alice. About how she fought when I turned 18 to try and keep me so I could continue the psychotherapy I needed to heal my brokenness; how the box of art materials which I just thought was just things she threw together each session was actually my box and no one else was allowed to touch it and if someone did need to borrow he glue out of it they had to put it back in exactly the same place. Alice saved me and I miss her so much and Alice is the reason why I want to train as a Child Psychotherapist so I can give back what Alice gave me. It was also Alice who taught me that there are more ways of "talking' than just with words - we had a lot of silence and I found my voice through art which helped me to open up and "speak" and looking back Alice was the first person I attached to which is a big thing for me. Another thing I later learnt about Alice is how she fought with Children's Social Care Services for me. I suppose in some ways I did fit into the stereotype of a "Anorexic" for a time being, but now I still struggle with my eating disorder and I always will but now I don't find into the stenotype and that makes access to treatment harder. I believe that regardless of where you're at in you're eating disorder, or what type of eating disorder you have people should have better access to care. It's difficult as often individuals hide and lie and don't want care and in some cases, like mine, I was already deep in my Anorexia and treatment was forced upon me. But I think that the moment people realise and want/need help they should be able to access care and I believe that for eating disorders treatment needs to continue in the long-team as physical recovery is easier than emotional recovery and long-term psychological/emotional support is needed for full recovery. I feel eating disorders like most NHS services are overwhelmed and under-funded and its a revolving door: patch the person up and send them away. Far too often I feel the focus for eating disorder services is on the physical 'recovery' for individuals. So when you are "physically recovered" or you're physically stable e.g. potassium levels are within an acceptable range, you're faced with barriers to treatment because you're seen as "well" and services don't have the time or resources to offer the emotional aspect of recovery. There is also the case of 'postcode' lottery and they is no equally in terms of services for individuals with eating disorders from areas-to-area. I now live with the physical consequences of my eating disorder and part of me feels the if an intervention have of happened sooner maybe I wouldn't have done so much damage to my body or have spent too much time in hospital and instead been in psychotherapy for long putting my like together as after all eating disorders are a mental illness and need to be treated as one. I'd like to turn back to the people around me who (I believe as a Christian) who are now in heaven; who have lost their fight for all sorts of reasons but those reasons don't matter. Eating disorders kill and that needs to change; those people and those friends are more than a statistic, they are people who are loved and will always be missed. My story is mine to tell. Each person's is unique to them. Its been difficult but cathartic to write this and it's only a portion of the story. Up a little bit earlier than usual. At 10.30am my nurse from Bluebird and a new nurse to the Bluebird team came to observe and a senior nurse from the community nursing team came to have a meeting to go through the check list for Continuing Health Care. The meeting took several hours and was very thorough and I now need to spend the next few days emailing and making telephone calls to get supporting evidence together. I was exhausted afterwards so had a rest and then Dad took me to the GP surgery for my ECG. I got the wrong time on my text reminder so I was an hour late for my appointment but they managed to squeeze me in but there was a bit of a wait. Whilst I was waiting I went into the pharmacy to pick up a few over the counter things for my sore throat. Home and had another rest before tea (evening to meal to those that aren't from up north in the UK!). I'm now resting and I'm just going to have a bath and then chill out for the rest of the evening. I went out the garden centre with one of my new carers this afternoon. It was nice to get out and have a different change of scenery. We had tea and cake in the cafe and then had a look around the shop and I bought some letter writing things. When I got back I had a rest and then typed some letter replies. This evening I'm really struggling with 'payback' but I'm trying to focus on having a nice day and just resting. Last week I sent and email to my care agency to say how much I loved the three new carers to my care team and how well they dealt with caring for me (seizures, fainting, falling over, wobbly legs etc) and how I liked that fact that two of the carers could braid hair (yes, my priorities, dealing with my health needs and being able to braid hair) and my carer today said that next time she comes to me she'll braid my hair for me. In the email I also put how much I like my current existing carers. They put the email up on the Facebook page but I'd made a typo and put 'exciting' carers rather than 'existing' - that's voice activated software for you (and not check before you click send). I also copied in the manager of Bluebird and she emailed me back to say how nice it was to read. Fairly quiet day. I had a ½ hr call with one of my carers so we went and posted some letters. I was exhausted when we got home so my carer made me a coffee and got me settled on the sofa so I could stay there and have a nap. I also made some phone calls and sent some emails following my DST meeting on Monday to try and get some supporting evidence. I've also been trying to get hold of my community nurse and she referred me for an airflow mattress but I have a perfectly good pressure relieving mattress of my own at the moment so I'm trying to see if she can change the referral for a mattress topper as the equipment store can't just swap things around themselves; they need the referrer to do it! #NHSpolices! In the evening I had a few seizures so Dad helped me upstairs to bed and I had an early night. I went out with my carer today to Louth, more for the drive and to get out of town. I picked up a few toiletries and then as I was passing a charity shop I spotted a lovely cardigan and t-shirt on the window display. There was also a nice corduroy pinafore dress but it wasn't my size. I rarely buy clothes other than jeans when I ware the knees out. I also nipped into WHSmiths as we don't have one here. Then I was time to get back home. I think if I'd stayed out any longer I'd have tired myself out. I rested when I got back; I also called my advocate to see if she could come to my CPA on Monday and to arrange seeing the Practice Manager at my GP practise. I also made contact with the Adult Autism Team as I hadn't heard back from them within the time they said they'd be in touch. This evening my step-sister and her boyfriend came round for tea and Beth and I talked about makeup and after tea we played a game of Codenames. I wanted to play more games but Dad didn't want me to exhaust myself so I came up to bed and started to settled myself down. It's currently 6.04am; I've been up a while unable to sleep even though I'm exhausted so I'm just watching stuff and resting. I'm also feeling like I've got a cold which I always get with PEM. I think I've probably just overdone it lately with appointments and care visits and desperate to get out the house. I've not got anything on today so I can had a sleep later if needed and I have the weekend to rest too. Not week I have a meeting on Monday and I'm at UCLH for 2 appointments on Thursday which the though of I'm not looking forward to but it's got to be done; the rest of the week I just plan to rest and recharge. Finally felt sleepy around 8am and went back to sleep. Woke up to take my meds at 9.40am and then laid in bed until 10am and too my 10am meds, managed to somehow get myself downstairs for breakfast and then came back up to me bedroom and back into bed. At 12pm my watch went off to tell me to get a drink which was good I had it as I hadn't had a proper drink all day except dilute juice to take my meds so I went and made myself a coffee. I also decided whilst I was off my bed to get into some comfy day clothes (they feel like pj's but are acceptable day attire). Had a bit of a meltdown once again - as much as I love my brother because he's my brother I'm glad he doesn't live here. When I went to get my coffee he was making himself some soup which was my free from soup and I was feeling off-kilter anyway so it everything this weeks - Wes eating my allergy friendly food and leaving me with few options left, using my toiletries, both without asking me (I'd be fine with his using my shower gel if he wants to smell like flowers but it's the fact that he never asks me or bothers to check to packet/ingredients to see if it's one of my allergy friendly foods) so yes I had a meltdown because I was tired and I had a bad headache and I was fed-up. We also like his music which he plays loud; its house/rap music so it had a heavy beat so it's painful and overwhelming for me. Wes did bring up my cup of herbal tea so that is one positive. I've just spent the day on my bed watching TV and pre-making IG posts to ask people if they're interested in guest writing for various awareness events. Didn't post on the day so can't fully remember what I did. Mandy was at work today and Dad and Wes are in Goathland so I just had a quiet day and wrote some mail and watched some TV. In the evening it was just Mandy and I so we watched another Alien film. Tired to make it to church in the morning but low mood and anxiety got the better of me. I opted instead to curl up on the sofa and watch TV. Flop is always good and de-stressing me giving me lots of cuddles and being chatty and his weirdo moments. 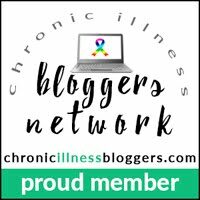 Upcoming Awareness Events - Shout out for guest bloggers! So there are a lot of upcoming awareness events that I'm looking for guest bloggers to help me out with. As well as this blog being for me to share my life with you I also like use it to give others a voice too. I've written quite in advance to give people enough time to write posts if they wish to contribute. To submit a guest post you don't have to have the illness yourself. You could a be a carer or family member or friend affected by the condition, or be a professional that specialises in that area. Post an be in in writing or video format (videos will be shared here on my blog as well as (with your permission of course) on my YouTube channel which I aim to grow this year). I understand that for some people talking for 5 minutes can be easier than typing, especially if you're using voice-to-text software anyway. If you wish to contribute fill in the 'Share your story' form or email your story or send any questions to me at naomi@diaryofazebra.com. Posts can also be made anonymous if you wish. Profile pictures and relevant images to your story can also be added if you wish. If you're wondering search 'guest posts' in the search box on my blog to see previous guest posts. If there are any awareness events that I've not head of (medical and non-medical) and you'd like to write/make a video about just get in touch as I'd love to hear from you. Also, if you'd like to contribute something that doesn't fit into any awareness day/week/month below just fill out the 'Share You Story' form or email me. So this is a new group that I've set up on Facebook and I'll just see how it goes. The main idea behind this group is the it's for people with any sort of chronic illness/disability to find new pen pals with the knowledge that because of our health letter writing can get put on hold for whatever reason - hospital admissions, not being able to make it to the post office, not having the energy or motivation to write or just general life getting in the way etc. I've also found in my letter writing journey that some people only like handwritten letters, which for some people, like myself, can be difficult to do, so typed letters are much better and easier to do and I'm sure others here can relate to that and here there is the understanding that typed letters are the only way that some of us can send a letter. As well as this, l've found such joy in sending letters; making each one uniquely special and it gives me a connection to the outside world. 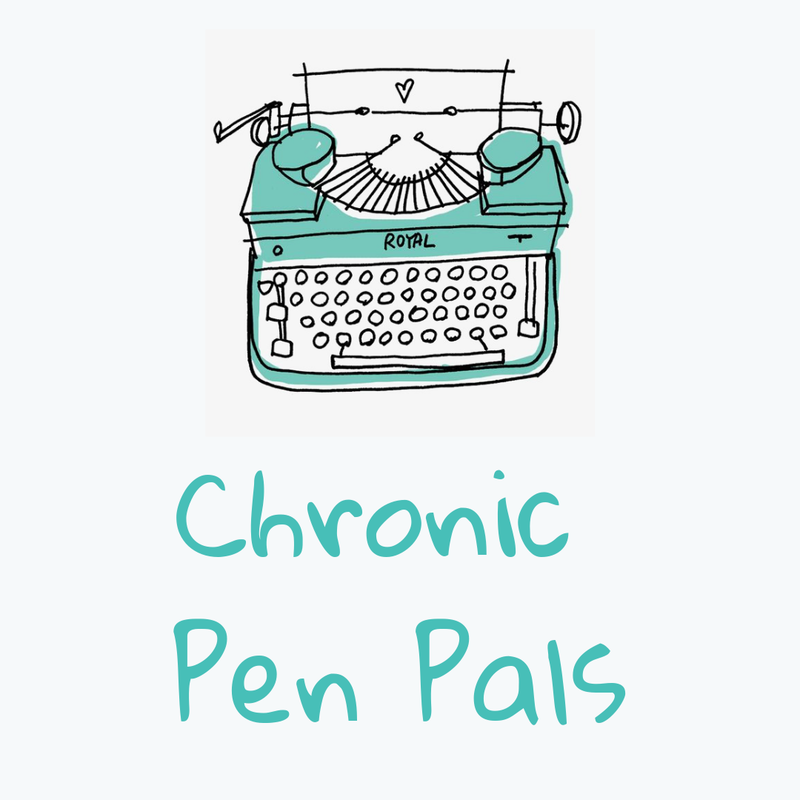 As well as having a chronic illness/disability in common, which is only a portion of who we are, in our pen pals we can find common interests and hobbies etc. There's no commitment to put up a profile and start writing letter - you can still be a member and begin writing whenever is the best time for you. It would also be lovely for people to share pictures of their creativity so others can see and get new ideas for mail. I hope you find as much enjoyment and distraction in letter writing as I do. Today is 'National Love Your Pet Day' (according to the internet). So I thought I'd send you some love from my guinea pig Flop. 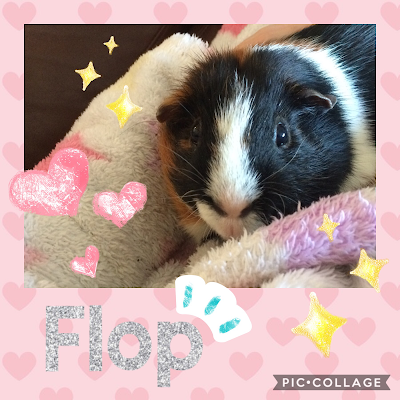 Flop loves his food and having a mad run around his cage, especially after you've cleaned him out, he's all very chatty and will run up to the cage door when you go into the room and he loves cuddles and when you go in his cage to feed him will nudge your hand for a stroke. The only thing he doesn't like is his claws being clipped. We used to look after Flop and his brother Flip (though Flip is no longer with us) when his owners went away. His owners then got a dog who wasn't too keen on Flop so we got asked if we wanted to have him on a permeant basis. When we first got him if you put him on the floor he'd just stand there; no he'll happily run around and he's getting more adventurous each day. Chilled out this morning trying to get myself into day mode. Flop and I had morning cuddles and he was very chatty. At 12.30pm my carer came and then at 4pm my support workers from L&H came. I was quite tired after so I just chilled out. I got my packed lunch and bag ready for London tomorrow and had an early night. Up at 8am, so not too early. Ensured I had everything with me. TASL (patient transport) came at 10.30am. Uneventful journey there. Stop off at Peterborough for the loo and diet coke and coffee. Was a bit late arriving at UCLH but it was all okay. I was expecting to have a bladder pressure scan but instead it was an ultrasound. I got a bit panicky but she was lovely and understanding of my PTSD and just did a scan of my abdomen which the results was all okay. The TASL crew was waiting when I came out. Luckily I one tot get a coffee on the way out and my gastro dr called me whist I was getting my coffee. She called me yesterday and she said she's call me to give me a prescription today so she caught me just in time. We sat in the main atrium and waited for her to come. Prescription in hand we didn't need to got to the hospital pharmacy so we could just head off home. I had a few tonic-clonic seizures whilst we was driving out of London and my myoclonic seizures carried on for quite a while so I took some diazepam (which I rarely take; this was the fist I'd had to take it this year) to calm things down. I slept/dozed most of the way back home listening to episodes of Bones except for a stop at Peterborough again for the loo and I got a free hot chocolate using up my Costa points. Home and then straight to bed. Struggled to get up this morning. The lady from the Red Cross came round this morning for a chat. I then got busy with sorting things out on my laptop and making phonically that I forgot about the time. At 2.15pm my carer came for ½ an hour. We took my prescription that I got yesterday to the GP surgery, they hadn't;t received the email about my ECG yet so I need to call back in a day or two. We then went to the post office to post a stack of letters and to buy stamps. Back home I got a snack and had a rest. I've spent the evening typing some replies to letters. I've put one letter together and the rest I'll do tomorrow. I'm now settled in bed and hope to get off to sleep soon as part of my bedtime routine. Had my carer come at 11.30am this morning for a few hours. Had several seizures and it was a new carer but she seemed to mange things okay. I was quite tired after so I watched some TV on the sofa and had something to eat and then migrated upstairs. I was planning of typing some more letters but fatigue and M.E. had other ideas so been laid flat in bed watching episodes of Bones in a dime lit bedroom; even the thought of the smell of my aromatherapy diffuser feels too much but I might still put it on at bedtime. I have Shetland and Silent Witness to catch up on so I may watch one of them instead before heading to bed (it's currently 8.37pm). Hopefully I will sleep well tonight. Had a quiet day in today. Cleaned Flop out. Mandy accidentally bout straw bedding instead of wood shavings she he's a little bit curious about that. Had an afternoon sleep. Something I've not been doing as much (though still having 'neurological rests' every day) since I've been starting my supplements prescribed by Dr Sally. I then had a bath and having my bath lift is making life a lot easier. This evening we watched a really good film called the "The Guernsey Literary and Potato Peel Pie Society". I then headed to bed and trying hard with my sleep routine I put on an audiobook instead of a TV programme and I nodded of pretty quick. Got up okay-ish this morning. Did my usual morning routine and it now just gone 12pm and I'm dressed already! I've been meaning to do my nails for a while and though I got distracted for a while I finally got round to doing them I've used and Oxblood colour with copper glitter tips. This evening I've been feeling quite dizzy and briefly fainted so I just laid in bed with my laptop. This morning I practised y make-up skills and I made it out to church today! I was exhausted when I got home so had a lay down and then I got something to eat. 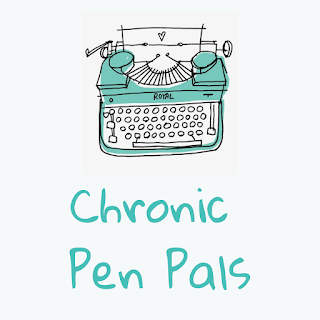 This afternoon/evening I spent time on my laptop setting up a Facebook group called 'Chronic Pen Pals'. I'm now shattered and ready to bed and I'm sticking to my bed time and listening to an audiobook. I've not waned to jinx it but this week I have finally managed to take ALL of my medication/supplements on time (more or less, some doses have been a little delayed but I'm getting there; I'm most please about remembering my empty stomach tablets which I struggle to remember to set the timer on my watch for to take and hour after eating). Hopefully next week will be even better. Now to take my 10pm meds (it's 10.08pm), finish this post, publish it, take off my make-up, put on my aromatherapy diffuser, and listen to an audiobook. (Actually, I'll finish this post off tomorrow and head to bed).